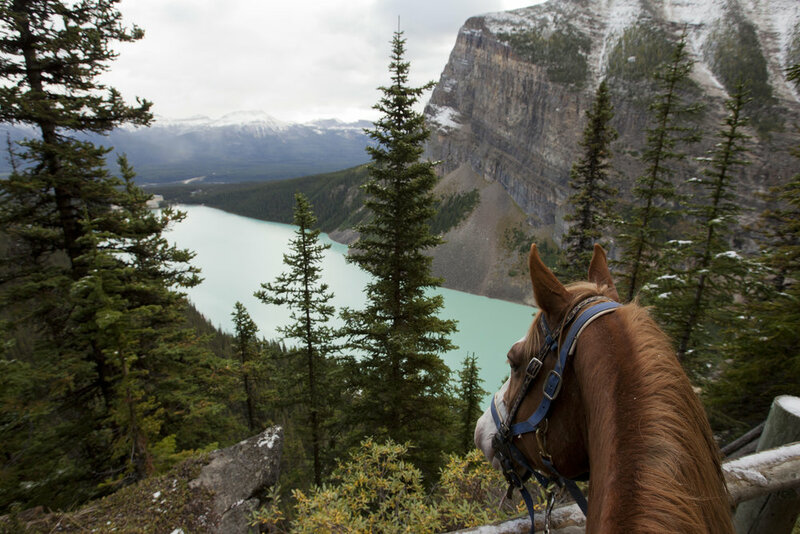 In spring of 2021, OHS students will go on the first Alberta trip - including a 3-5 day overnight horseback riding trip in the Rockies! Odyssey Heights is the Only School East of Alberta, and the Only Girls School in Canada Where Everyone Rides. Part of the OE3 curriculum within the Agriculture and the Environment courses, the equestrian program at Odyssey Heights is designed to develop self-confidence, compassion, empowerment, healthy living habits, and a connection to nature in all our students. Over their years at Odyssey Heights School for Girls/École pour filles Odyssey Heights, students will experience a wide range of equestrian activities including: English riding lessons, Western riding lessons, trail rides, Royal Winter Fair trips, equine therapy, wagon/sleigh/buggy rides, farm visits, donkey horse rescue farm visits, an overnight horse pack trip in the Rockies (and possibly Algonquin), riding on Icelandic horses across Iceland, and maybe (hopefully) a visit to the set of Heartland! FAQ: Where Does Odyssey Heights School for Girls Do the Equestrian Program? April, 2019: We have found a beautiful and amazing new home for our equestrian curriculum - Partridge Horse Hill - ~Where Horses Are Happiness ~ Web page updates to the equestrian pages on our website are in progress. FAQ: What Do Students Do in the Equestrian Program, and When Do They Do It? Every Friday is POGO Friday - Project or Going Out. The equestrian program trips are on approximately half of the Fridays that are school days, and the students aren't away on overnight trips. This means about 15 days per school year are dedicated to equestrian activities. That's the equivalent of three school weeks every year with horses! Students ages 13-17 may take the “Horse Behaviour and Safety” course. This may fulfil certain academic requirements for the Secondary I or Secondary II Agriculture & the Environment course after 2020-2021. Students ages 17 and up and in grade 12 may take the Management of the Equine Environment course. Note that this may become a required part of the Secondary II Agriculture & the Environment course after 2020-2021. Students who choose to come back or start at OHS for a post-grad year (often referred to as a “Gap Year” and/or a ”victory lap”) may take any of the Equine Guelph diploma or certificate programs while at OHS. FAQ: What Are the Goals/Reasons/Rationale for the Equestrian Program? to prepare girls for overnight horseback riding trips (Alberta Rockies 2021, Iceland 2023,...). to engage and inspire girls in their academic studies. The University of Connecticut has been actively recruiting future OHS graduates for their equestrian management and science programs since before we opened. FAQ: How Does It Work When There's Different Levels of Riders? For experienced and competitive riders, the school-wide equestrian curriculum is a compliment to their competitive training. It provides breadth, provides competitive riders a chance to relax and enjoy a trail ride or a Western lesson, enriches their academic studies in most subjects, and may facilitate experienced riders developing a passion for horse training as well as riding. The focus is not on riding lessons, but on horsemanship and breadth of equestrian experience, and connecting to academics in their Agriculture & the Environment course. Lessons may be broken into two or more sections, and/or absolute beginners may have a few introductory sessions before joining a group lesson. Interested older experienced riders may be able to have some volunteer hours being a peer mentor to a younger new rider. One of the essential activities is trail riding. For new riders it's a wonderful way to get outside and bond with a horse. For experienced riders .who doesn't like a good time hacking around - especially in a busy showing season? The exact details of how and when different activities and lesson levels will run, will be available after we've chosen our long-term equestrian home. FAQ: Does Odyssey Heights Have an Equestrian Team/Club? Co-curriculars at Odyssey Heights are mostly driven by student interest. If the student council (or a committee of the student council) votes to start a club, or team, Odyssey Heights teachers and staff will do our best to facilitate the program starting. The student council will be supported and encouraged to start a competitive equestrian team, 4-H Club, and/or equestrian club. Realistically, the earliest that a club could form would be late spring 2020, with the club/team in full operation for fall 2020.